Estate Websites! Follow us as we break down our software, pixel by pixel. Today’s post focuses on the Real Estate Website Content Packs available with Realeflow’s Website Templates. How Does Your Real Estate Website Content Stack Up? In last week’s post, we covered the different types of real estate website templates that Realeflow offers. Whether you’re looking to build your main business website, set up multiple sites designed for targeting specific audiences, or both, Realeflow’s got your back! Today’s post focuses on the real estate website content that Realeflow offers as part of our real estate website templates. Writing catchy, clever, informative content is, by no means, an easy task, but it’s very important. The follow up messages that your leads receive drastically impact their decision about whether or not they want to actually work with you. 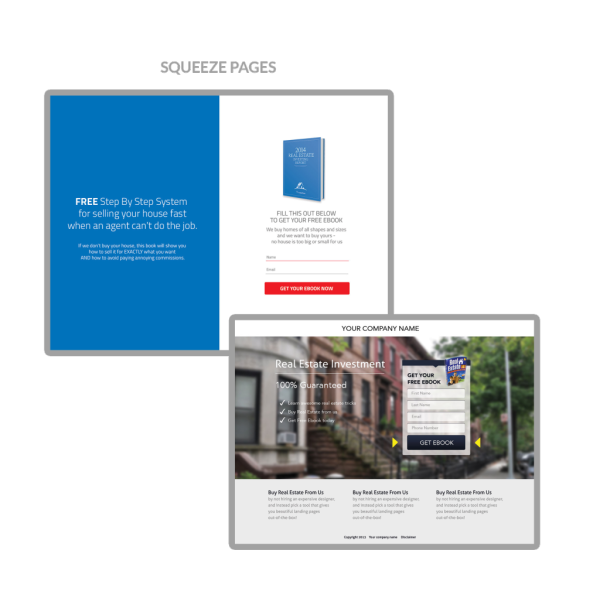 With that in mind, we include nearly 50 professionally written Content Packs to choose from when setting up a real estate website. 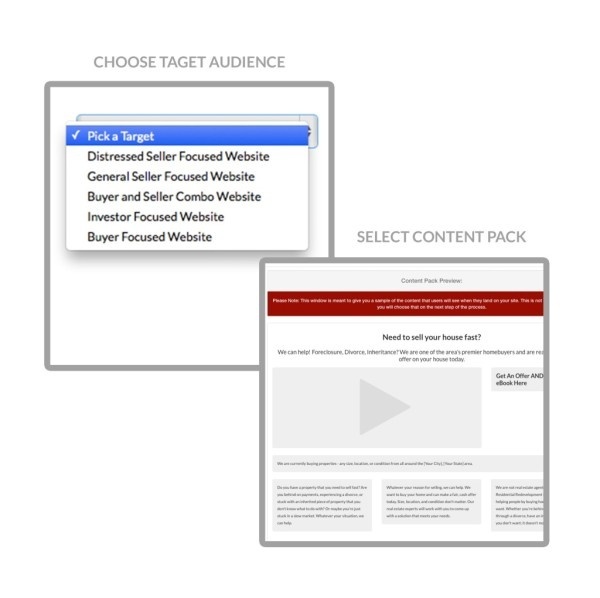 Each content pack has been written by an industry professional and has been tested and proven to engage with its designated target audience and increase conversions. Once you’ve completed the set up process, your company’s website will display content written specifically to engage with your target audience. All content provided by Realeflow can be used as-is or can be edited or completely re-written at any time to best suit each user’s real estate investing business needs. Having the right content on your website is important, but you also want to keep in mind what systems you have in place to retain leads once they have visited your website. While Realeflow allows leads to opt-in to your websites and deposit their contact information… the fun doesn’t stop there…. Once a lead submits their contact information, your website will automatically initiate an autoresponder email series based on the content pack that was chosen. The autoresponder series will deliver the eBook and will follow up with the lead, delivering relevant content on a set schedule. The content of the emails and schedule can be edited or used as-is. You can think of these as free, relevant content for your leads. eBooks, (Electronic Books), are delivered in the emails of your Autoresponders. The information a lead receives from an eBook will be directly applicable to their situation and will engage the lead further with you, your business, and the solutions that you can offer. All included eBooks have been written by industry experts to directly connect with the lead type that they're written for. Users can also upload their own documents or attachments at any time to replace any pre-loaded eBooks. Having a strong web presence is necessary in today’s competitive business market, but the real power is in the follow up. The follow up marketing that you do and content that you provide will be the difference between people who visit your site and people who visit your site, give you their information, and actually want to work with you. If you’re interested in building your business and generating leads… Realeflow has got your back. See for yourself! Try our software, absolutely FREE for 30 days. Be sure to let us know what you think! Leave a comment below!